Toothaches are a vivid reminder that teeth aren't just pieces of hard tissue floating around in the gums. They're intricately formed sensory organs with layers of dentin and enamel overlaying a living pulp. Coursing through the tooth's pulp is a vital bundle of nerves and blood vessels that provide nutrients and sensation to each tooth. As long as the pulp stays healthy, you're rarely aware of the systems at work. A deep cavity can give bacteria access to the inner nerve bundle. In some cases, a significant infection, called an abscess, may develop in your jaw without any symptoms at all. If Dr. Lankupalli and Dr. Patel determine that the nerve won't recover or if an infection is present, then root canal therapy may be suggested. Modern anesthetics provide powerful numbing for gentle removal of the inflamed nerve inside the tooth. The nerve canal undergoes disinfection and careful shaping, and a sealer fills the internal space. 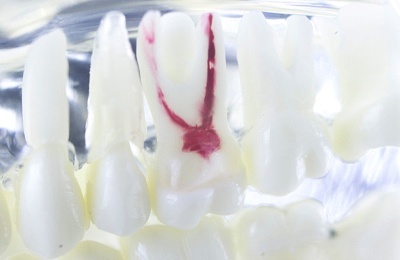 A filling or crown over the tooth helps return it to its original function. Internet articles continue to circulate claiming adverse health effects from root canals, despite years of research proving otherwise. Many of these claims rest on false theories put forward decades ago without any scientific basis. In fact, one popular Facebook article sounding a false alarm shakily rests on a 100-year-old study that was tossed aside long ago. The American Association of Endodontists stays abreast of all the current and past research regarding root canals and can support the safety of this vital service. In fact, new techniques and materials make root canal treatment more successful than ever.